Taxonomy In the World of UX: What Is It and Do I Need One? Taxonomy: What Is It and Do I Need One? Chances are pretty good that you do need it – in fact, you’re probably encountering and using some sort of taxonomy every day without even knowing it. The good news is that it’s nowhere near as complicated as you might think. Remember that last trip to a hardware store when you needed some WD40 to lubricate the spring on a squeaky chair? Remember the overwhelming feeling of despair when you walked into the store and thought “Where do I even start to look?” Walk down the aisles and you’ll notice large banner signs that outline the types of items in each aisle. 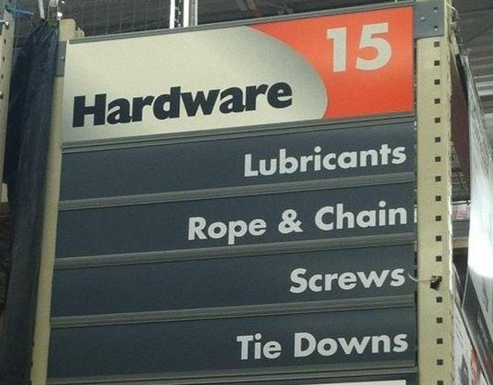 See that sign that says “Lubricants, Rope & Chain, Screws, and Tie Downs”? You’ve found your aisle! What you’ve just experienced is a simple example of how a taxonomy plays out. WD40 is the object, but it’s also a brand. It has many different possible descriptors: it’s a lubricant, it’s packaged in a compressed aerosol container, it can be used for rust removal, it has a product number, probably a store SKU number, and perhaps a country of origin. Let’s say that even after you’ve bought the WD40, applied it to the chair, and thrown away the bottle, the chair is still squeaking away and, darn it, you need to order some more lubricant to put an end to this misery. 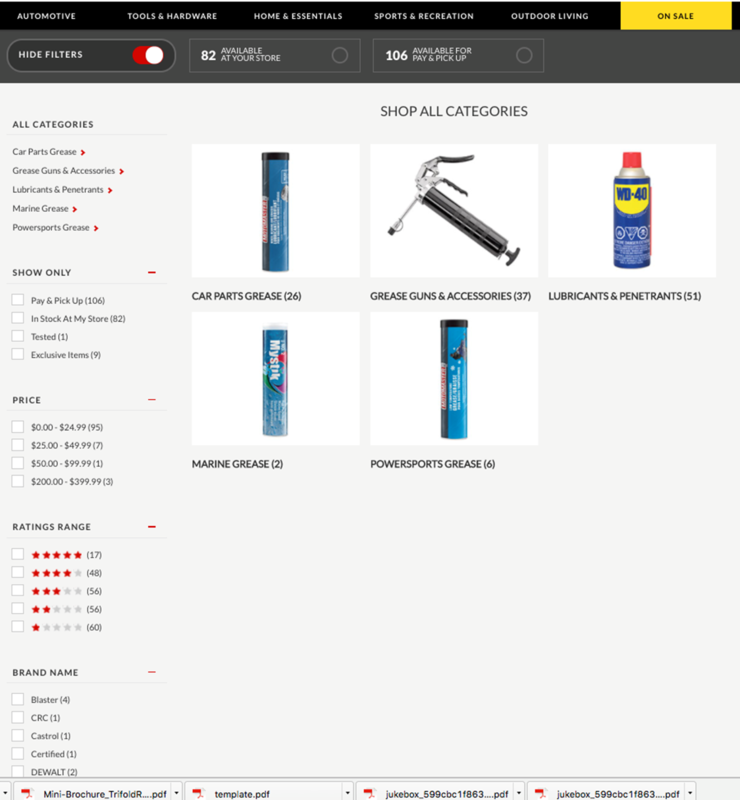 You sit down at your computer, bring up the hardware store’s website, and guess what? You can’t recall the name of the product you bought before. 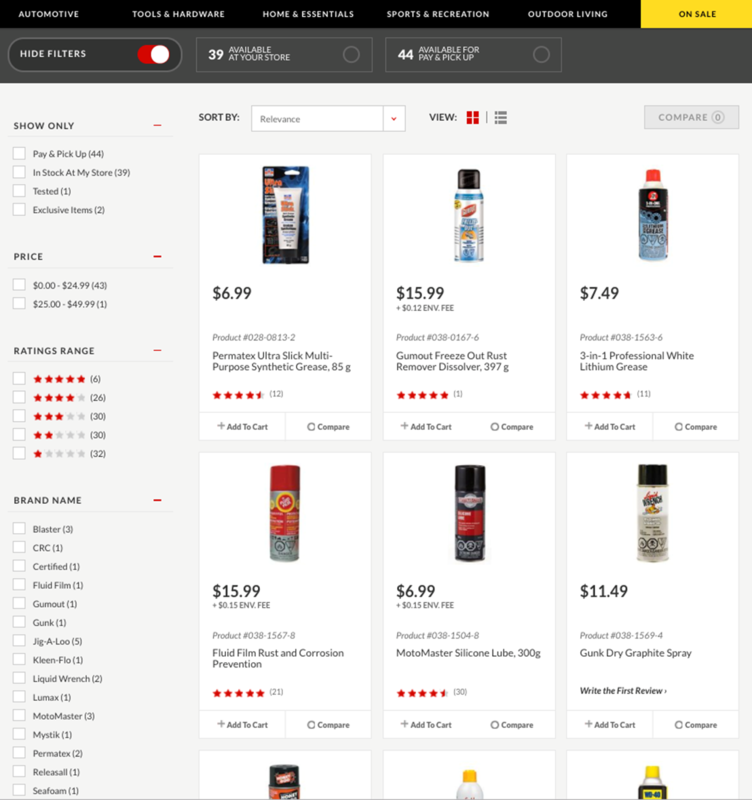 You use the site’s search box to search for ‘lubricant’. Results? 117. But you don’t have all day, so you turn to the handy ‘filter’ options. These allow you to specify pieces of information that have been attributed to that object you’re looking for, allowing you to control the number of results. This information, the attributed labels, is what contributes to creating your taxonomy, your controlled language. Without the ability to filter, you would have to use the site’s navigation structure, which, for a site the size of a national hardware chain, is a fairly daunting task. But with a taxonomy in place, you can perhaps filter by brand. And while you may not remember the brand name now, seeing it in a list may help you recognize it. Walk down the aisles and you’ll notice large banner signs that outline the types of items in each aisle. That’s taxonomy at work. Taxonomies have been around as early as the 1400s and are used to classify and organize subject matter. Using a taxonomy, you are able to create a hierarchical structure that can dictate a defined path to a subject or object. Every time you’ve been to a library you’ve engaged with a very well thought out and standardized taxonomy. Perhaps the most famous taxonomy is that one memorized by high school biology students: kingdom, phylum, class, order, family, genus, species. 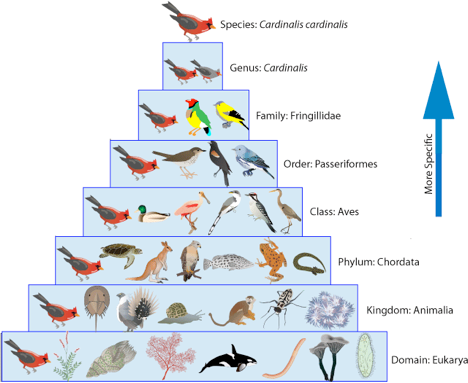 These hierarchies classify an organism appropriately and without redundancy. Using a taxonomy, you are able to create a hierarchical structure that can dictate a defined path to a subject or object. In the world of UX, unstructured information makes it really difficult for users to find what they’re looking for and contributes to the system becoming bloated, redundant, and inconsistent in information and terminology. When information is easy to find, users are more efficient, which makes everyone happy. How Do I Know If I Need a Taxonomy? Remember walking into the hardware store and the feeling of relief when you didn’t have to walk up and down each aisle to find the chair lubricant you needed? Well, you don’t have to be a huge retailer to give your customers or employees the same great taxonomy experience. If your business has any type of information that is presented to or used by the public or your staff, you may benefit from instituting a taxonomy. Can your users find what they are looking for on your site? Can they find it quickly? Free text searches can generate too many irrelevant results. Having a taxonomy in place means you have a consistent language or terminology so you can create a structure that allows finer filtering to get your users to the intended result faster. Has it become difficult to manage all of your records? Are they all sitting in one generic folder? Structuring your content in more specific content hierarchies would help. Think of the biology example, where content lives in very specific category lines. Do you find that you experience redundancies due to inconsistent naming conventions for the same thing? Taxonomies help you create and manage a controlled vocabulary, allowing everyone who searches your content to speak the same language. Do you have a variety of users that have different reasons and methods for accessing content in your site or system? When you have a good taxonomy, you can create a path to content that can allow sales people in your organization to get to information that they require as well as satisfying the needs of others in the organization (such as your graphic designers). The taxonomy can be re-purposed into a structure that fits the needs of your unique user roles. This results in efficiency for your potential employees and can have significant, positive financial gains. For those sites and applications serving your consumers, it might be just what you need to make sales more probable and profitable. If your site allows consumers to easily find what they are looking for and is also able to manage your products in a way that you can also provide ‘like’ recommendations, you just harnessed the strength of your taxonomy. It’s very important to assess at the beginning of the process who your users are and how they will use the system. It is not good enough to assess based only on the people ‘in the room’. Spend the time getting to know your actual users: conduct interviews and create personas and mental models that will help you understand how users want to access your information. Find a way to put your users in the driver seat by creating an enthusiastic testing group who want to help make your taxonomy great. Allow them access and solicit their feedback as you continue to refine. Taxonomy isn’t a ‘set it and done’ process. As your site grows and evolves over time, your taxonomy will also require updating to remain current and maintain its usefulness to your users. But putting in the effort to create a solid and dependable base for your taxonomy will pay off in dividends when put to use in your content management tools. Cheralee is a Senior Information Architect, UX Designer, and Usability Specialist with over 17 years of experience planning, designing, and testing user experiences for both public and private sector clients.